Lighting Control for the Conference Hall. 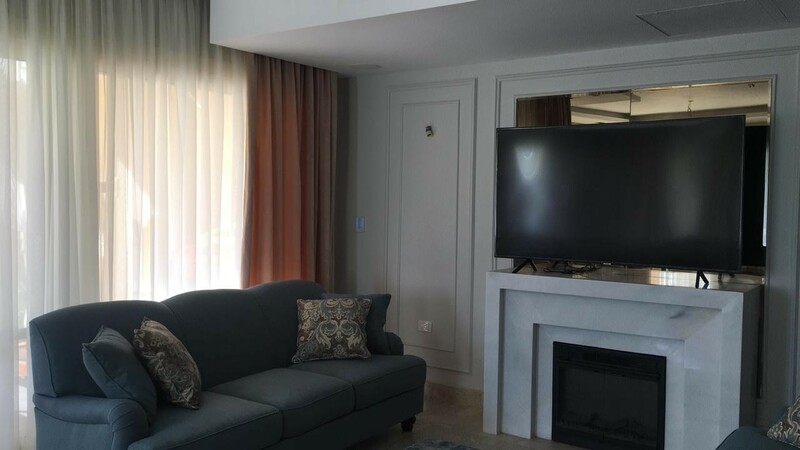 •	Home Automation system in 32 apartments including lighting control, AC control, Curtain control and security. •	Lighting control of garage, building entrance and building main façade. 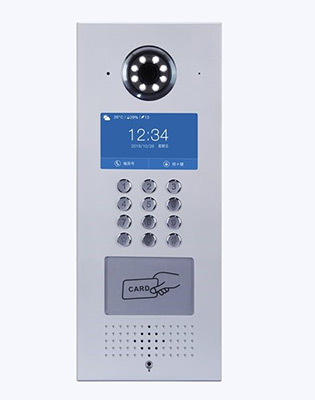 •	IP Video Intercom System. •	Central Dish and TV system. 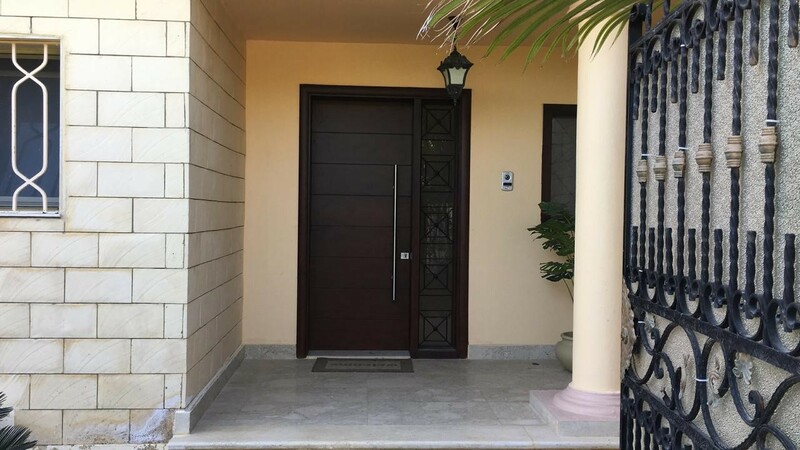 •	Video Surveillance System for outdoor, Entrance, Stairs, Lift and garage. 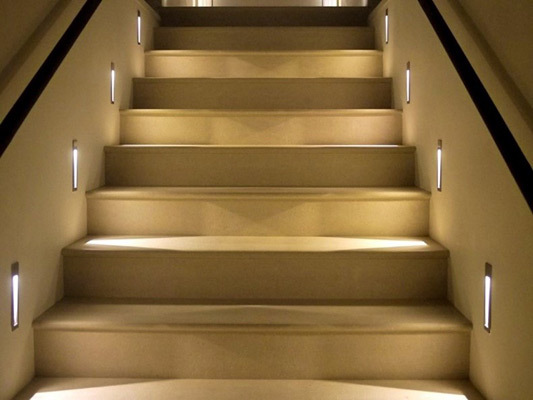 •	Infrared Motion Sensors for stairs lighting control. 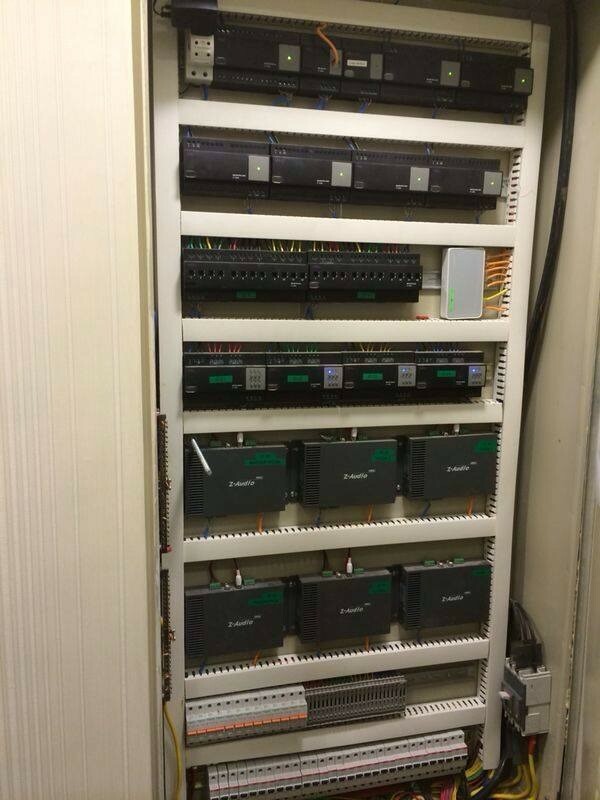 1••	Home Automation Essentials: 2 No of 2400 Power Supplies, Programming Gateway Module and Logic Automation Module. 2••	Lighting On/Off control for 48 lighting circuits and lighting dimming control for 12 lighting circuits for a total control of 60 lighting circuits. 3••	6 zones of Sound System distribution, amplification and control and 12 indoor speakers distributed in reception and rooms of the house, 4 outdoor rock speakers and 2 wall mounted speakers with ability to control track, sound source and volume for each room separately or for the whole house in the same time. 4••	Air Condition Control for 6 split AC and 2 mini central AC with ability to change temperature, mode, fan speed and turn on and off easily from all system interfaces. 5••	Curtain Control for 10 curtains with motors, and control of 6 No of Shutters using Curtain Control Module. 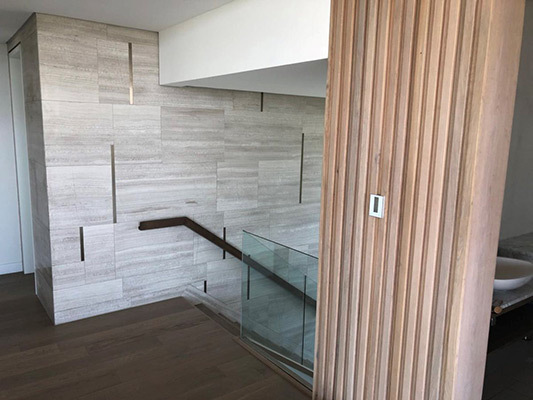 6••	8 No Intelligent DLP Switch on wall for Salon, Dining Room, living room, entertainment room and Bed Rooms used to control lighting, curtains, AC and sound system in each area. 7••	1 No Enviro Panel in the reception. 8••	3 No. of 4- button switch and 1 No. of 6- button switch to control lighting in some areas and for easy quick control scenarios. 9••	Security system allows- if armed- sensors to detect motion with 8 No. of Wall Mount Outdoor Sensor, SMS module and 1 No outdoor siren. 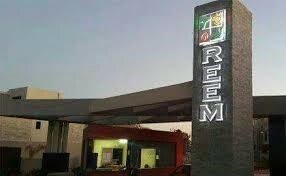 System was programmed to play different scenarios such as announcing certain message on sound system speakers, turning on some lights, sending SMS message to phone numbers stored on its memory. 10••	IPAD Software to access and control the whole smart home system. 11••	Different unlimited scenarios were programmed to execute several orders at the same time using only one click on a button as per client requirements. 12••	Unlimited scenarios were programmed based on time. 13••	Video Surveillance IP Camera System. 15••	Network and WIFI System. 17••	6 months support is given to the client in case he wants to add or change programming according to is needs and life style. 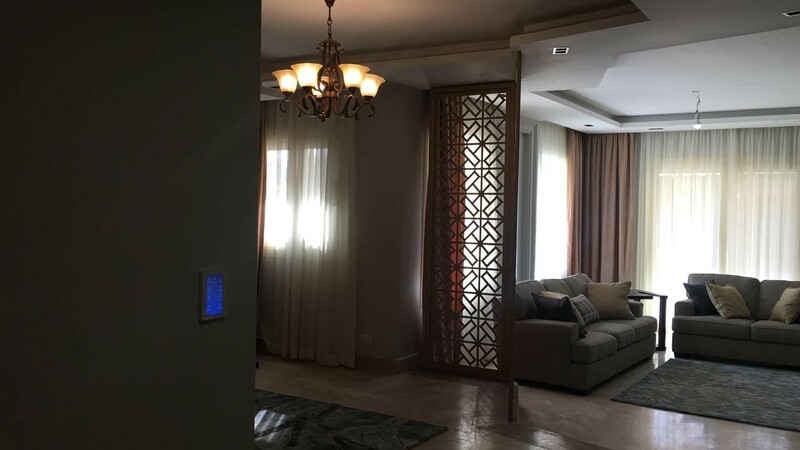 In 2018 I approached Flair Systems Co. to introduce and implement Home Automation System in my villa in ALEXWEST as a part of the renovation project of my premises. 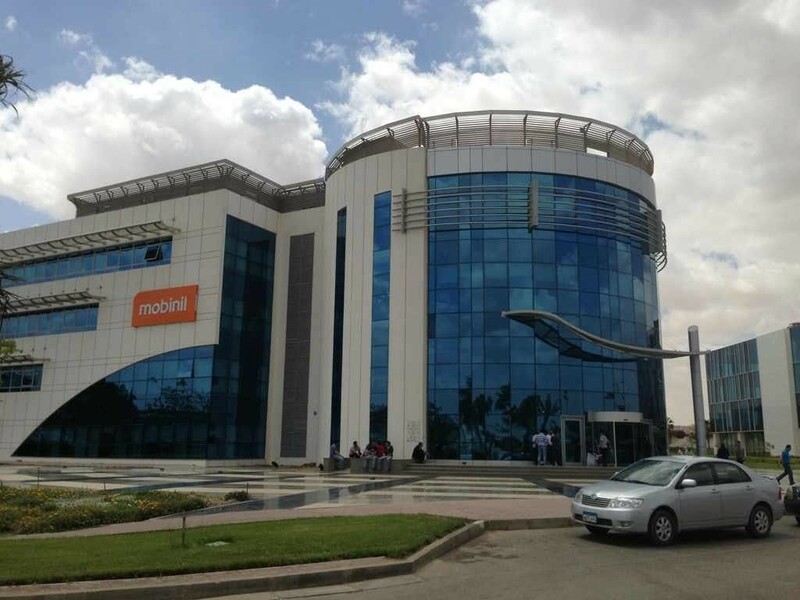 Though my location is in Alexandria and the Flair Systems is based in Cairo, but I found nothing less of the utmost integrity and true customer care. 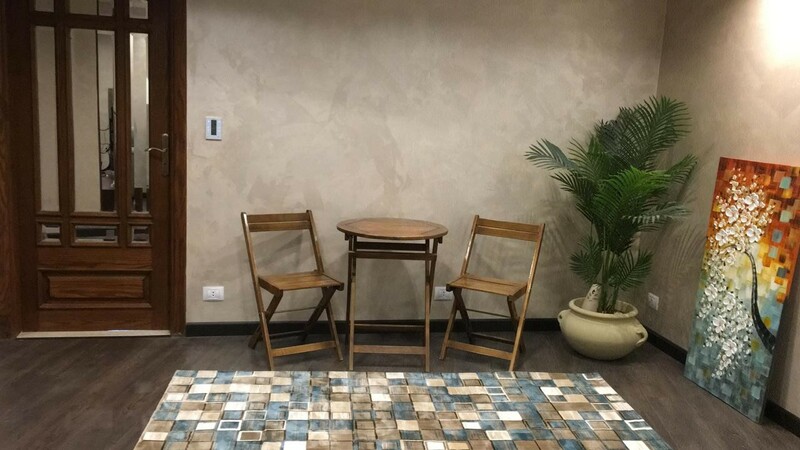 After preforming the proper surveys and getting all my requirements and requests, Flair Systems delivered an offer with a detailed project plan that reflects the professional environment rarely found in Egypt. Implementation went smoothly, effective and fully supervised that avoided us unnecessary cost. 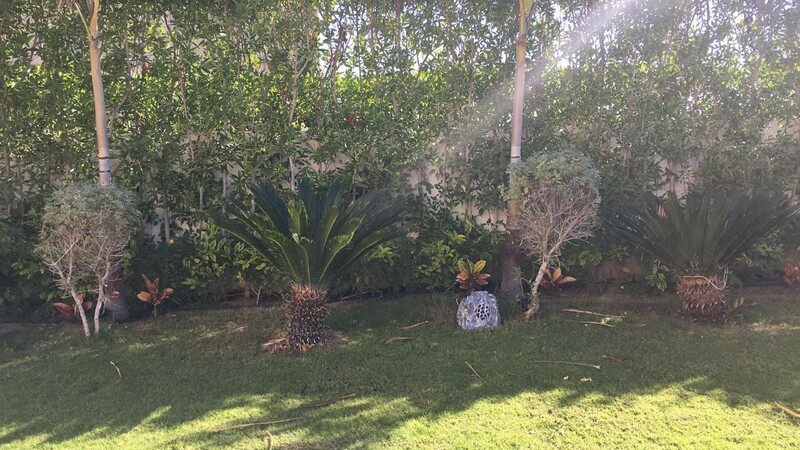 We installed HDL Systems in a two Floor Villa in addition to the landscape. 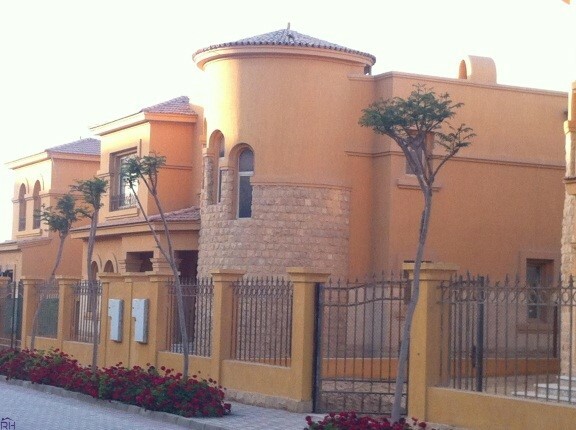 Villa is fully automated via HDL DLP that controls Lights, Music, Curtains and Shutters. In addition to the DLPs, the System can be operated remotely via phone APP from anywhere. All my requests were integrated, functional and tested. 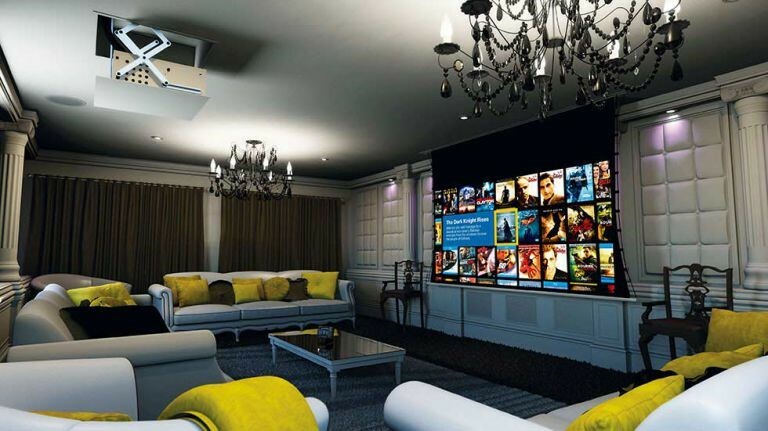 The installed system is automating several functions to achieve a true Smart Home. I am controlling different layers of lights (Spot Lights, Cove Lights and Chandeliers) all over the villa with different scenarios. Moreover, Music Zones were implemented indoor and outdoor that can be operated solely or combined. Also, Intercom, Garage door and Outdoor Projector were smoothly integrated in the systems. 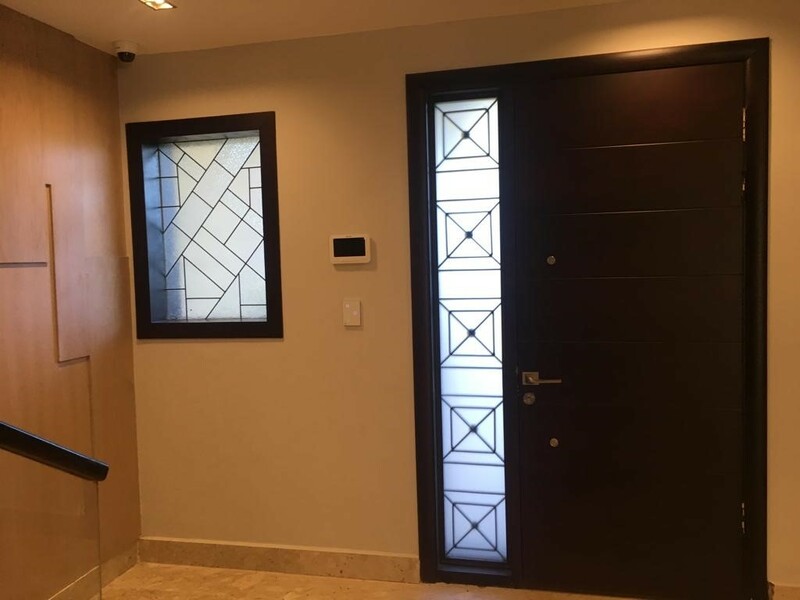 Furthermore, the Home Automation, Flair Systems implemented Security Cameras and Security Alarm System and successfully integrated all in one APP. Finally, I am simply writing this testimony as a very satisfied customer. Flair Systems implemented all my ideas into a living system. 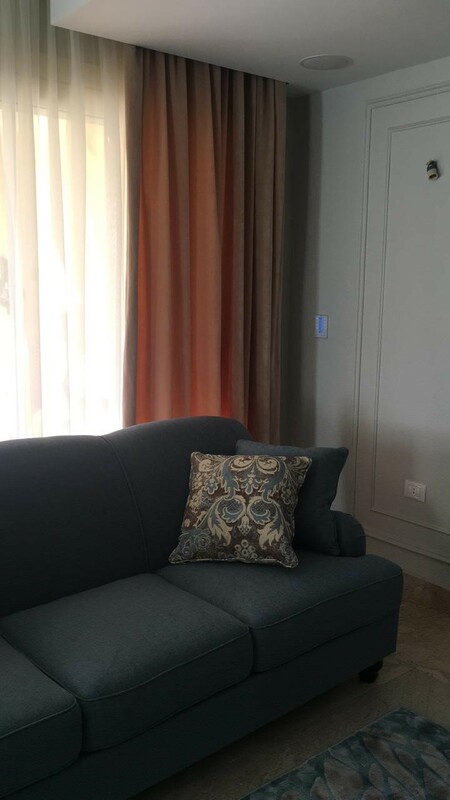 4 Bedroom Apartment with a breathtaking view on river Nile. 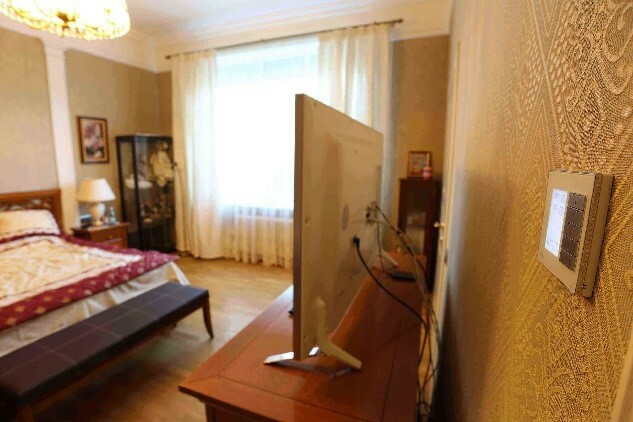 -	All systems function smoothly and are controlled from iPad, iPhone and Android-based tablet both locally from the apartment and remotely from any part of the world. Lighting is controlled with the help of HDL equipment. Corridors are equipped with motion sensors and light is switched on/off automatically at night. Android-based tablet controls the light in the whole apartment, lighting scenes can be saved. Lighting is also involved in global scenes: "Leaving", "At home". -	All blinds and curtains are controlled from wall keypads and touch panels. Blinds are involved in global scenes, for example in "Cinema" scene – they are automatically closed in home cinema. -	Comfortable climate conditions are created in the apartment with the help of ventilation system and convector control. -	Different sources can be listened to at the same time in rooms. -	Safety and Security with multiple Door Sensor, Infrared Motion Detector, Gas Detector and Water Leakage Detector. -	Home cinema, projector, screen. 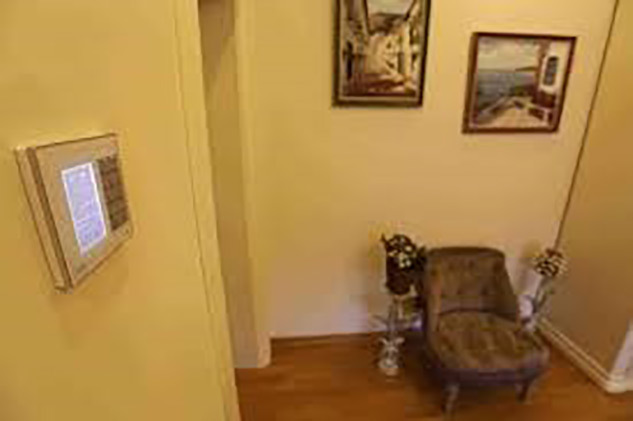 -	Outside video surveillance system with a capability to see the video on a PC and a tablet. -	scenes «All Off», «Nobody home», «Security», «Home cinema», «Going to sleep». 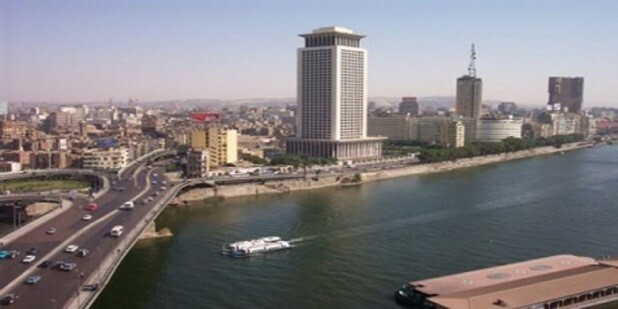 3 bed room apartment with a breathtaking view on river Nile. -	Lighting is controlled with the help of HDL equipment. Corridors are equipped with motion sensors and light is switched on/off automatically at night. Android-based tablet controls the light in the whole apartment, lighting scenes can be saved. Lighting is also involved in global scenes: "Leaving", "At home". -	Light is automatically switched on by sensors. 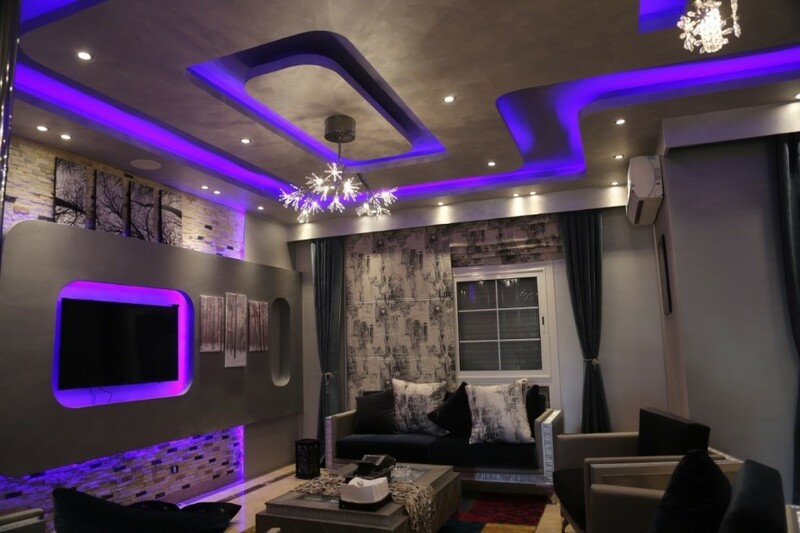 There are scenes to switch off light in the whole house, in certain rooms, garden lighting scenes, and automatic light switch of by sensors. -	All blinds and curtains are controlled from key pads and touch panels. Blinds are involved in global scenes. -	Scenes «All Off», «Nobody home», «Home cinema». -	All systems function smoothly and are controlled from iPhone and Android-based tablet both locally from the apartment and remotely from any part of the world. -	There are 48 lighting groups in the house and 8 lighting groups on the territory that are switched on and off from iPad. Part of lights is dimmed. Light is automatically switched on by sensors. -	Safety and Security with Infrared Motion Detector. -	All blinds and curtains are controlled from key pads and touch panels. Blinds are involved in global scenes, for example in "Cinema" scene – they are automatically closed in home cinema. -	Centralized control of conditioners, convectors, radiators and warm floors. 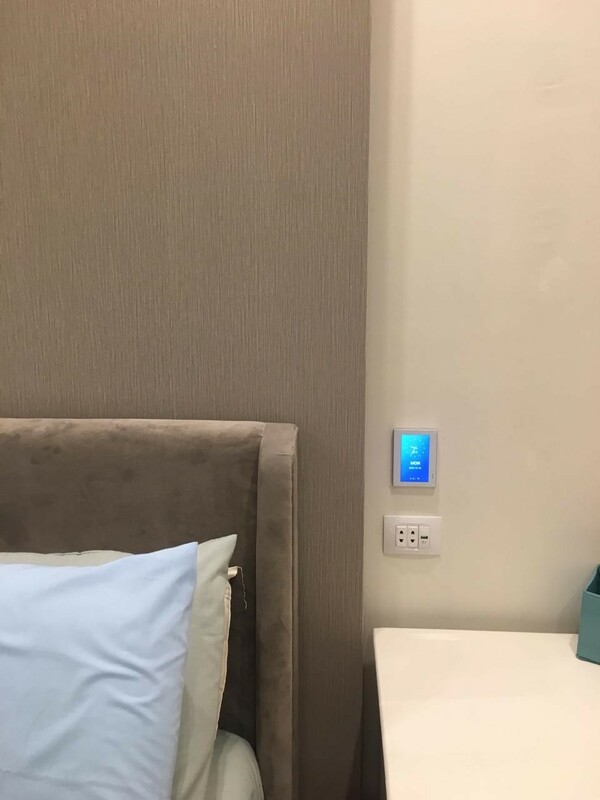 The mobile interface can control temperature in each room remotely. There is a special mode to view fast all climate settings in the house. -	Safety and Security with multiple Door Sensor, Infrared Motion Detector, and Gas Detector and Water Leakage Detector . -	All blinds and curtains are controlled from key pads and smart panels. -	Safety and Security with multiple Door Sensor, Infrared Motion Detector, and Gas Detector and Water Leakage Detector.